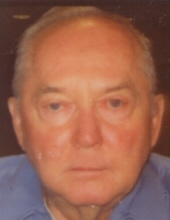 Celebrating the life of Joseph Michael Plonka Jr.
Obituary for Joseph Michael Plonka Jr.
Joseph Michael Plonka Jr., a longtime resident of Milford, MI, died in the presence of his family on April 12, 2019. Joseph was 88 years old. He is survived by his son, Michael (Carol) Plonka; grandsons, Michael J. (Samantha Witte) Plonka and Ryan M. Plonka as well as many close friends and extended family members. Joseph is preceded in death by his loving wife of 54 years, Patricia (d. 2010) and his sisters, Genevieve Fryzel and Angeline Zielinski. "Email Address" would like to share the life celebration of Joseph Michael Plonka Jr.. Click on the "link" to go to share a favorite memory or leave a condolence message for the family.